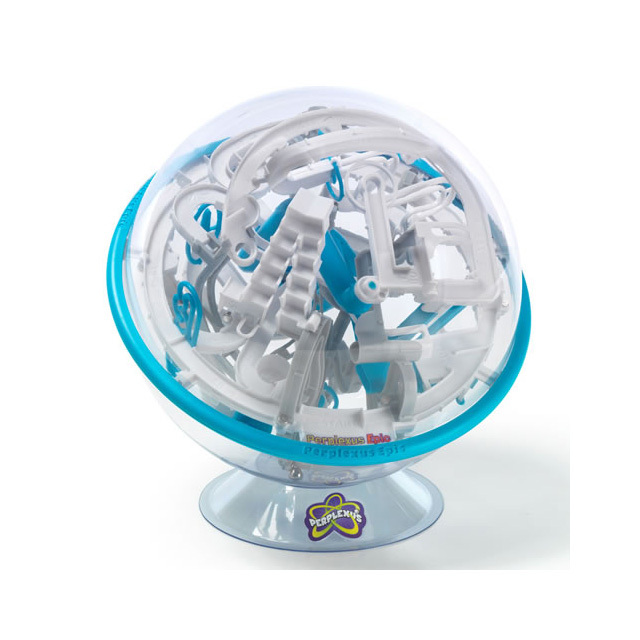 With 125 challenging barriers, twists, turns, cliffhangers and more, Perplexus Epic is the ultimate 3-D labyrinth challenge for professional puzzlers! This huge, spherical, 3-D handheld game looks pretty intriguing - just wait 'til you start to play it! You'll figure out the concept quickly and easily and the entire experience will leave you perplexed and entertained, all at the same time! Do you dare to challenge the most EPIC of all brain puzzles? 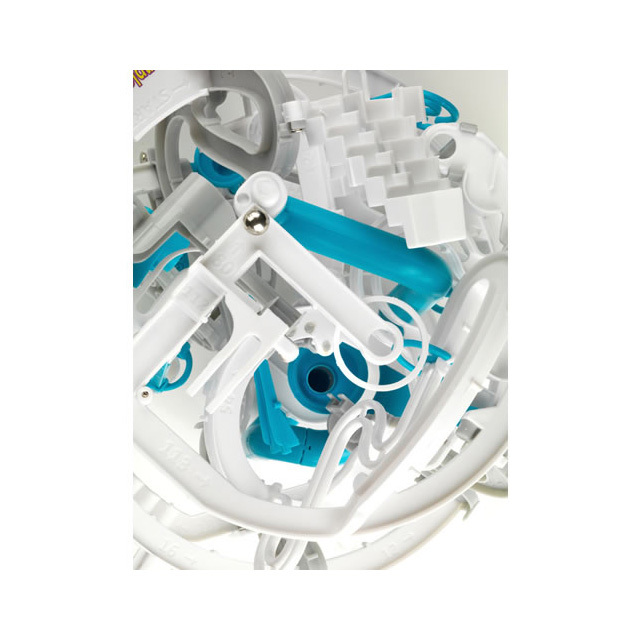 Get the little ball to follow the right-side up, upside-down, sideways and twisted pathway. But watch out! Don't let it come off the track or you'll have to start again. Twist and turn the game with finesse to get the ball to move along. 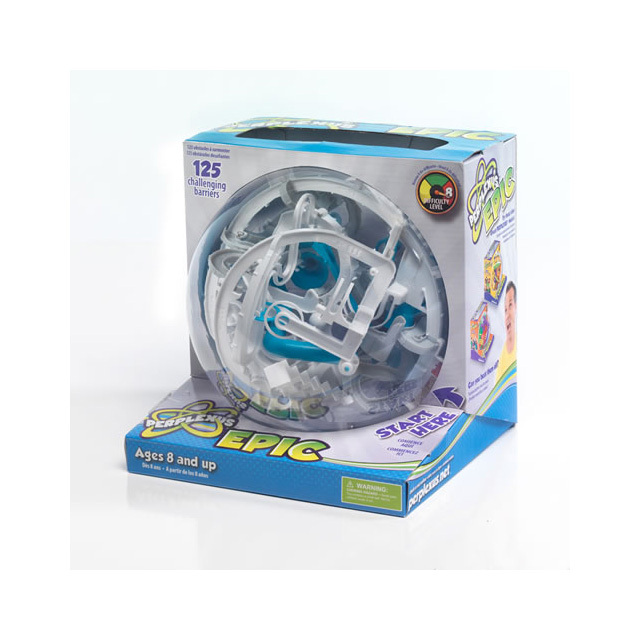 Perplexus Epic is perfect for kids and adults, because it's easy to learn, yet tough to master!